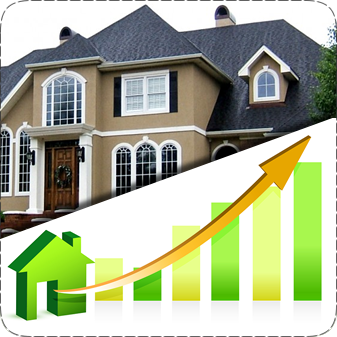 Does Basement Waterproofing increase your home value? The bdrywestmichigan.com website is for our customers in the following Michigan counties. 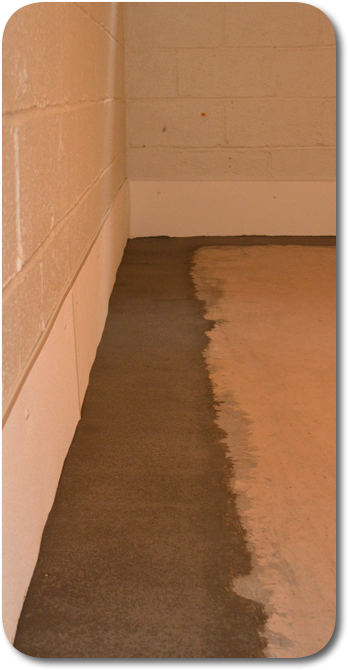 The B-Dry® System basement waterproofing method is the most widely used basement waterproofing installation in the United States. Nationally, we have over 180,000 installations. We welcome you to check our BBB ratings and please contact our offices with any questions you may have. There is no other waterproofing company in the USA that have been in business longer than the professional at B-Dry System. 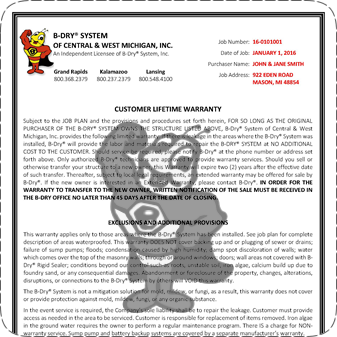 We have been offering Lifetime Warranty since 1958 when B-Dry System basement waterproofing started. Basement WaterproofingBDryMichigan.com Provides The Knowledge And Experience Neccesary To Deliver A Quality Product At An Affordable Cost. Basement WaterproofingB-Dry System Waterproofing provides the knowledge and experience neccesary to deliver a quality product at an affordable cost. 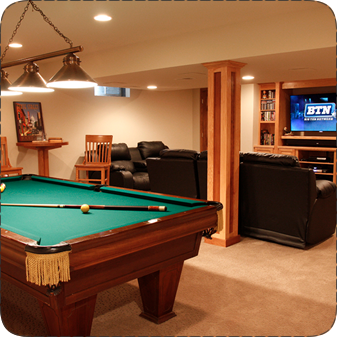 If you have a leaky basement, we have the solution. We are famous for our Interior Basement Waterproofing Solution. 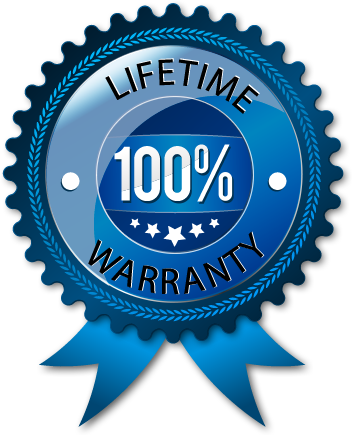 We stand behind our product with a Customer Lifetime Warranty! We have various stabalization products that we offer for bowing foundation walls., we do everything to avoid a rebuild. No more panic or anxiety when it rains. You can put the Shop Vac or Mop away, you won't be needing those anymore.